Explanation: Cubes are orbiting the Earth. 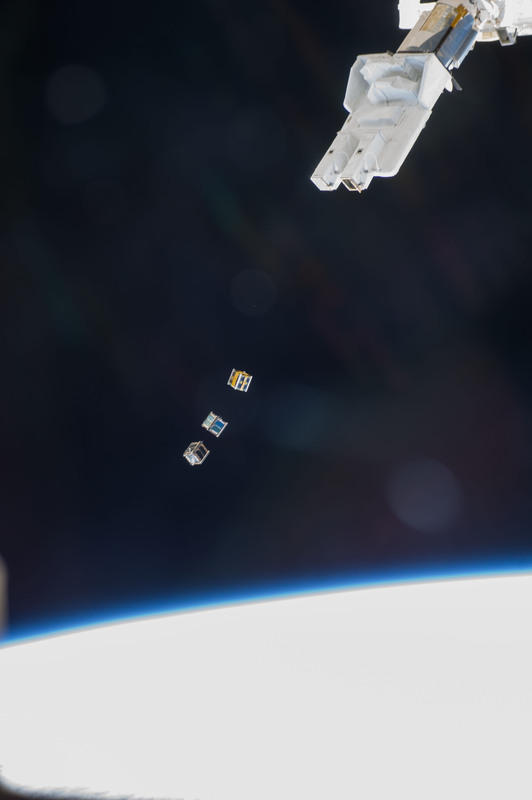 Measuring ten-centimetres on a side, CubeSats -- each roughly the size of a large coffee mug -- are designed to be inexpensive both to build and to launch. 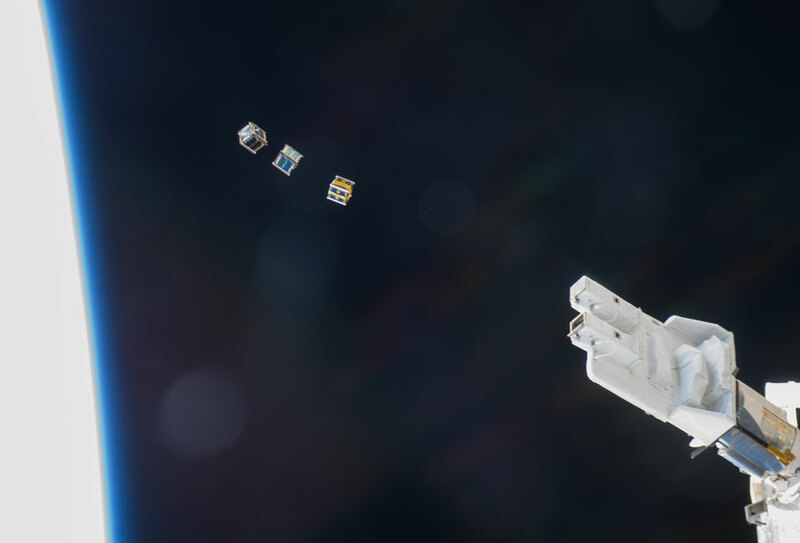 Pictured above, three CubeSats were released from the International Space Station (ISS) last November by the arm of the Japanese Kibo Laboratory module. CubeSats are frequently created by students as part of university science or engineering projects and include missions such as collecting wide angle imagery of the Earth, testing orbital radio communications, monitoring the Earth's magnetic field, and exploring the Earth's surrounding radiations. Depending on the exact height of their release, CubeSats will re-enter the Earth's atmosphere on the time scale of months to years.